Vivo has announced Freedom Carnival, Independence Day offers to start from 7th to 9th August exclusively on its e-commerce store, shop.vivo.com/in. During the sale, it offers discounts, coupon deals and cashback offers on a select range of Vivo smartphones and accessories. 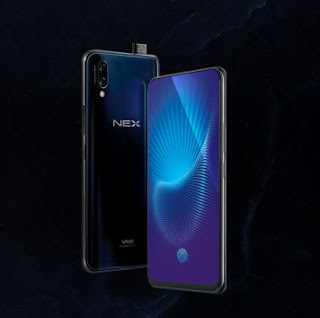 It will also be offering NEX and V9 via flash sale for just Rs. 1947 and accessories such as earphones, and USB cable at Rs. 72. The flash sale for both the smartphones and accessories will commence at 12 noon for all three days and will last till stocks last. During the sale, it offers Rs. 4000 cashback on select models on all credit and debit card transactions, 12-month no-cost EMI scheme on all Vivo smartphones, and free Bluetooth earphones worth Rs. 1200 on the purchase of NEX, X21 and V9 smartphones. These coupons are redeemable on select smartphones and accessories. The Vivo Freedom Carnival sale starts at midnight of 6th August. Commenting on the sale, Jerome Chen, CMO, Vivo India, said: Vivo wanted to make the 72nd Independence Day special for all its customers. Our Freedom Carnival brings exclusive offers on our latest products and provides the freedom for everybody to celebrate and express themselves through Vivo smartphones and accessories.